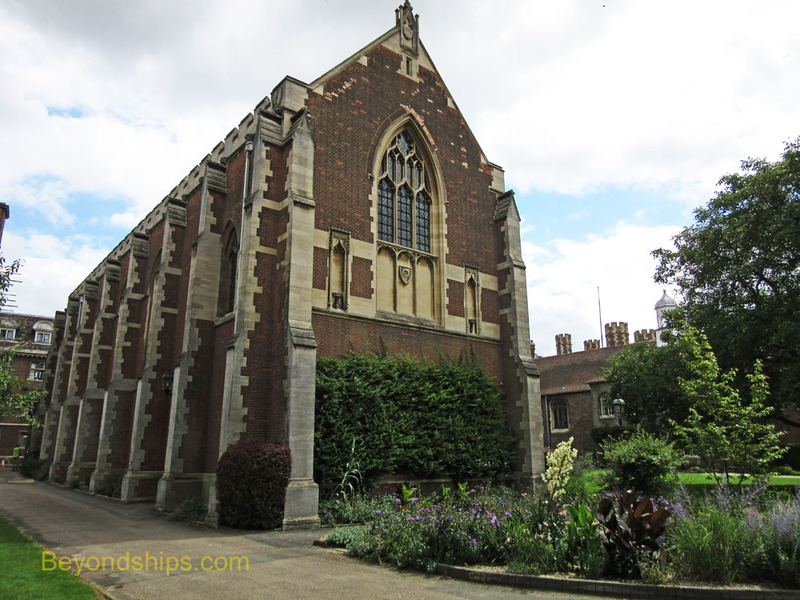 Queens College is one of the hidden gems of Cambridge. Although it is just off Spring Street, it is often overlooked by tourists. This is unfortunate as it is rich in history and its collection of buildings is architecturally much different than its neighbors. Queens' was the brainchild of Andrew Dokett, the Rector of St. Bololph's Church and Principal of St. Bernard's Hostel. In 1446, he successfully petitioned Henry VI for a charter to establish a College of St. Bernard. However, he soon discovered that the college was in need of a wealthy patron. 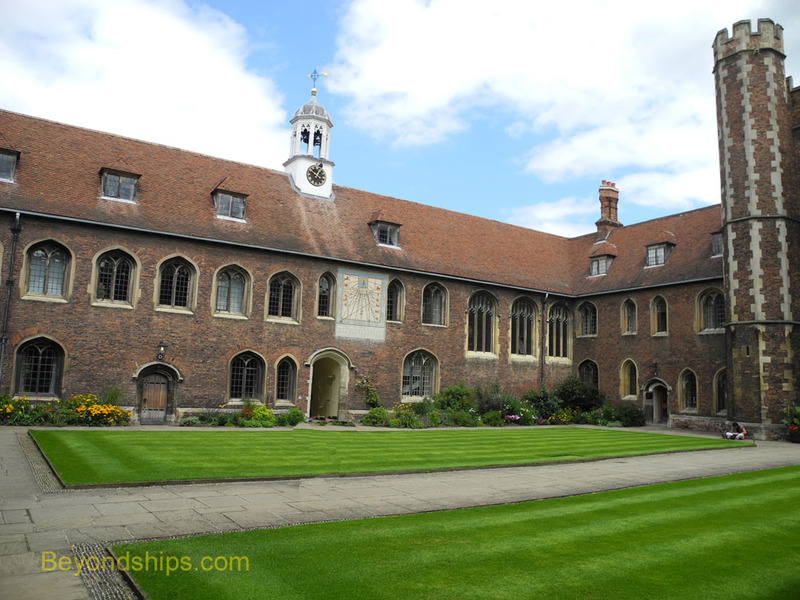 Inasmuch as Henry had recently founded King's College combined with the fact that no queen had yet founded a college, the idea of becoming the partoness of Dokett's college appealed to Henry's young wife Margret of Anjou. Accordingly, Dockett named the new college Queen's College. This happened during the War of the Roses and Henry (a Lancastrian) was replaced on the throne by the Yorkist Edward IV. With the demise of Henry also went the college's patroness. Therefore, Dokett petitioned the new queen, Elizabeth Woodville, to assume that role. With her agreement, the college was re-founded and the name changed to Queens' College. Above: Queens from the Cam. Below: Flowers along the wall of the President's Garden. Visitors to Queens' College usually enter through the gate on Queens Lane, which is off Silver Street. Once inside, they find themselves in a series of intimate courts surrounded by Medieval and Elizabethan buildings. Old Court has been called the most picturesque court in Cambridge. Its most notable feature is the sundial which also is a moondial. Walking from the Old Court west to Cloister Court, you pass the Old Hall. This is where the students and dons had their daily meals until more modern buildings were constructed on the other side of the river in the 20th century. The Old Hall is very tall and high stained glass windows. The hammer beam ceiling owes its bright colors to William Morris and associates in the 19th century. From the southeast corner of Cloister Court, you can see the tower where the great humanist and scholar Erasmus of Rotterdam lived between 1510 and 1514. It is said that he did not care for the taste of the ale in Cambridge and he complained that Queens was unable to supply him with decent wine. 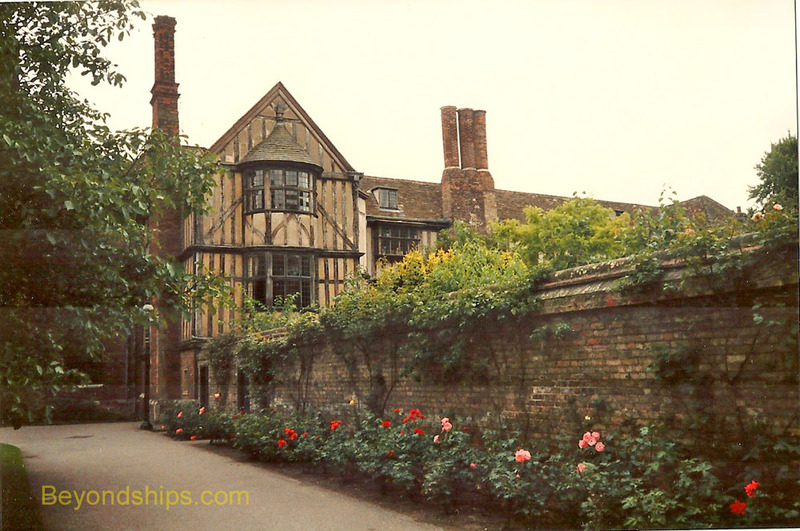 On the north side of Cloister Court is the long gallery of the half-timber President's Lodge. . Built in 1540, his is the oldest building along the river. 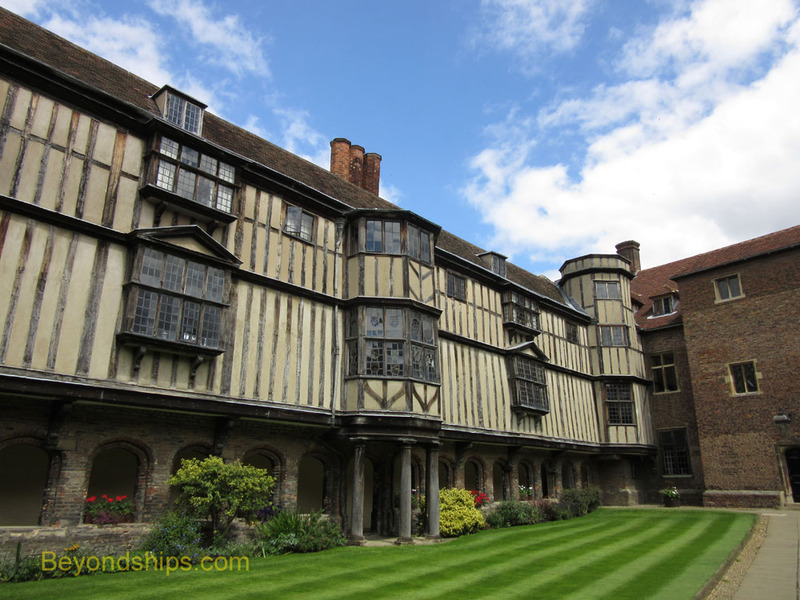 Its Elizabethan appearance makes Cloister Court ideal as a setting for performances of Shakespeare's plays. While most of the other colleges are headed by a “master” or a “mistress,” the head of Queens' is called the President. One of Queens' former presidents was a saint - - Saint John Fisher, who was President from 1505 to 1508. 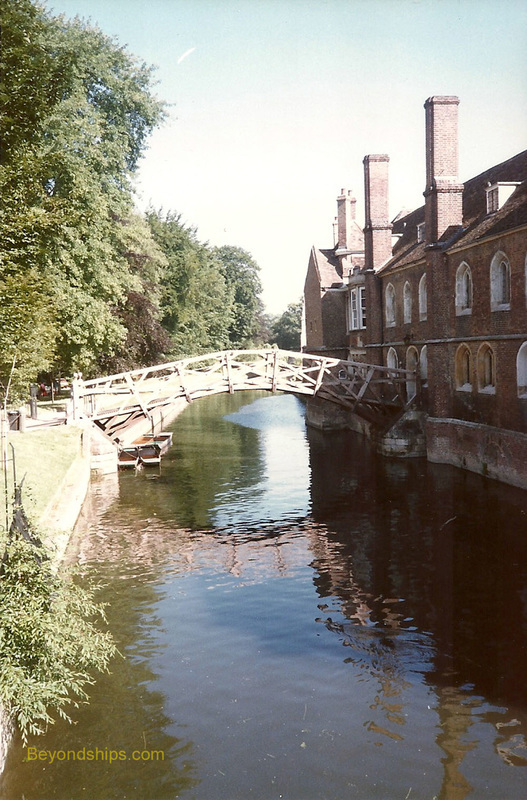 Queens' best known landmark is the Mathematical Bridge, which links the President's Lodge to the west bank of the river. 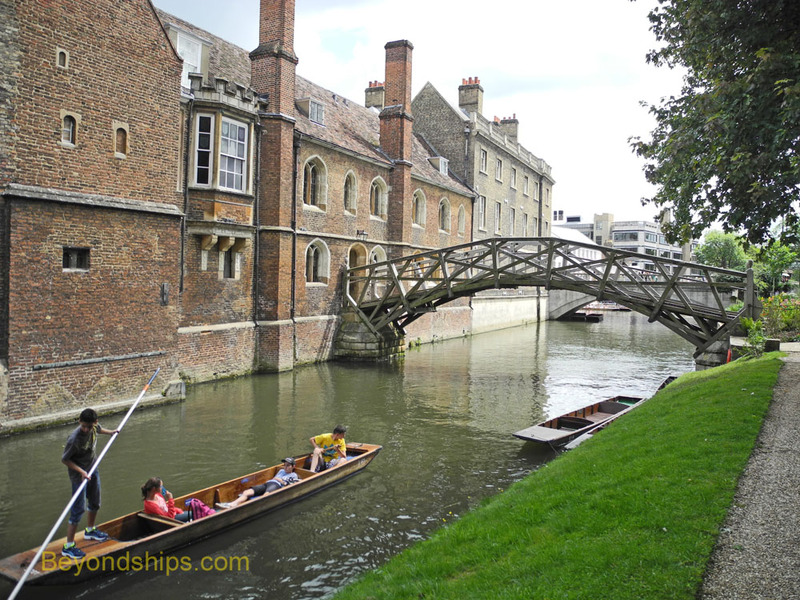 It is the only wooden bridge along the Backs and can be seen from the Silver Street Bridge without entering the college. Constructed in 1749, it was engineered using very sophisticated mathematical principles. It is said that no nails were used in the original bridge and that it was all mathematics that kept it together. Much later, the story goes, it was decided to take the bridge apart to see how this was accomplished. However, just how to put it back together without using nails proved to be a mystery. Consequently, the bridge we see today has nails. At the northeast corner of Cloister Court is the entrance to a passageway that runs under the President's Lodge and into Walnut Tree Court. Walnut Tree Court and Friar's Court beyond are primarily Victorian. However, the Erasmus Building was one of the first modern buildings added to one of the old Cambridge colleges. It was opened in 1961 by the late Queen Mother. Queens' has a peaceful atmosphere. 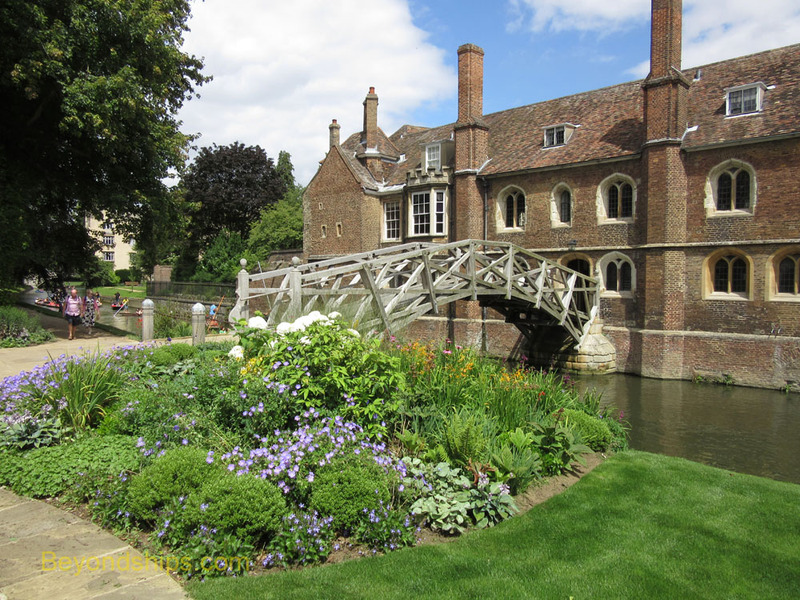 Perhaps because much of it is enclosed it feels removed from the city even though it is in the heart of Cambridge. Its buildings are not overpowering but rather on a human scale.